The Amsterdam Metropolitan Area has joined forces to move towards a circular economy because of the great opportunities it can offer to the region. Its ambition is that in 2025 the region (AMA) will be frontrunner worldwide in finding smart solutions for the limited availability of resources through redesign and closing of energy, water and material loops. The Amsterdam Metropolitan Area has joined forces to move towards a circular economy because of the great opportunities it can offer to the region. Its ambition is that in 2025 the AMA will be frontrunner worldwide in finding smart solutions for the limited availability of resources through redesign and closing of energy, water and material loops. Simultaneously, innovation and new business development will be realized in the Amsterdam region. At regional level the focus is on energy transition and closing material cycles (high value recycling of resources and circular design of product- and material chains). The vision is that it can lead to cost reduction, create new business and employment, and save resources and energy. In addition, it can stimulate the development of knowledge, innovation and start-ups, and increase the provision of supply of key resources. Thus, it offers societal merits in all respects: People, Planet and Profit. The Amsterdam Metropolitan Area is in an outstanding position to become a leading circular resources hub in Europe. It is a comparatively densely populated region in which large amounts of products and materials circulate, and many innovative and sustainable entrepreneurs are active. The region has an excellent logistic network across all transport modes (including a main harbour and global airport – Schiphol – and prime railways and roads), and a coordinated spatial planning. It composes of a broad spectrum of economic activities and knowledge infrastructure, while societal support is present for initiatives in the area of the circular economy. To strengthen the involvement and consciousness of citizens about the circular activities of their region. The precondition for success is the positive effort of energetic citizens, innovative entrepreneurs, advanced knowledge institutes and a government that can stimulate, facilitate and connect these parties. Some initiatives can be taken by municipalities themselves such as promoting the separation of waste by consumers and companies and developing advanced platforms to reuse, refurbish and remanufacture products. However, other initiatives require coordination at a higher scale, primarily the region, to set up cost-efficient recycling facilities. Thus, it requires a clear division of tasks and responsibilities among the municipalities involved in order to develop into an outstanding circular hub. Governors of the region have recognized this precondition and are willing to act accordingly. 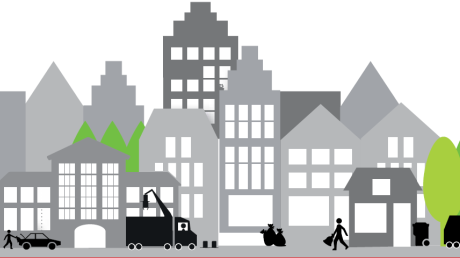 The Amsterdam Metropolitan Area does not start from scratch in moving towards a circular economy. The municipalities have already set up or are preparing initiatives in this context. For instance, the city of Amsterdam is collaborating with the main Waste Energy Company to gradually shift the strategy from incineration to reuse and recycling of the household and company waste. The most advanced incinerator, which recovers energy highly efficiently, will remain in operation while the two older incinerators may be gradually phased out in the course of time. At the same time, new recycling activities will be set up for the different waste streams. With the main water company Waternet, the city of Amsterdam collaborates on recovering all kinds of nutrients and other resources from the municipal waste water streams. The city of Almere gives priority to the development of a highly advanced recycle and upcycle station and the creation of optimal value from biomass. Moreover, Almere will host the Floriade in 2022 and will promote in that context the zero waste city and local food production. The municipality of Haarlemmermeer focuses on the bio-based economy, Cradle 2 Cradle construction and a test facility for start-ups in these areas. 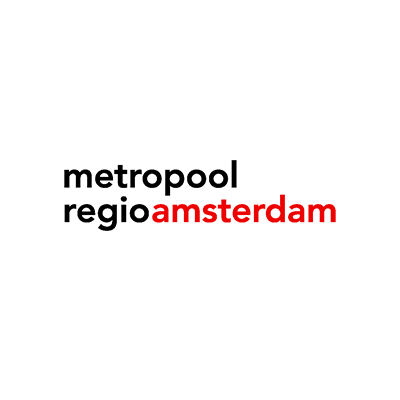 The challenge for the Amsterdam Metropolitan Area is to coordinate and accelerate those circular activities that need to be set up at regional scale. In total there are more than 70 to 80 important waste streams circulating through the region. For each of these waste streams a tailor-made approach is followed. All actors of the product chain related to the waste stream are represented in the preparations. Initiators that can act as change agents are identified and asked to take the lead. A number of brainstorming sessions with the main actors are held to identify the opportunities, need for research and innovation, and potential for business development in the short and long term. Last, concrete actions are formulated and carried out. High value recycling initiatives At present, several of such circular initiatives are getting off the ground or are in preparation. The main lesson we learned until now is that the success depends on a number of main drivers that are relevant for all initiatives. First, there should be one or a limited number of initiators who act as inspiring change agents. Secondly, cooperation across the product chain (including end-users) is key, including trust and mutual respect. Thirdly, new financial and organizational arrangements are important to create a convincing business case. And finally, additional tailor-made incentives need to be attuned to the specific product-/waste stream at stake. The transition towards a circular economy is not only about reusing and recycling waste streams. It also includes the appropriate design of products and materials for those purposes. Hence, efforts are also made to promote circular product development, for instance via innovation programs, public procurement policies and business-to-business purchasing policies. Redesign of product chains is therefore a crucial part of the overall transition towards a circular economy.